This weekend was a whole-lotta-fun. Exhausting. Ridiculous. Out of Control. Fun. Pre-bachelorette (Friday) I had a few offers for some Bachelorette entertainment..sans clothes. However, I didn’t think Sophie would appreciate entertainment that was not only “sans clothes”, but also “sans teeth”. That’s right folks, I met some aspiring toothless male strippers. Unfortunately for them, some of the mamas were attending – so I scrapped their ideas all together. We started the evening at Katie’s condo with some fiesta fare, cocktails, games and gifts. I don’t think i’ve ever laughed so hard for so long! These girls know how to have a good time (the mama’s too)! After a dance party, and some good times, we called our trusty Designated Driver (Sophie’s brother) and headed downtown. Our night was filled with dancing and lots of “woohoo’s!” Sophie even got on stage with a band, double woohoo! Overall, I think our bride had a fantastic time. 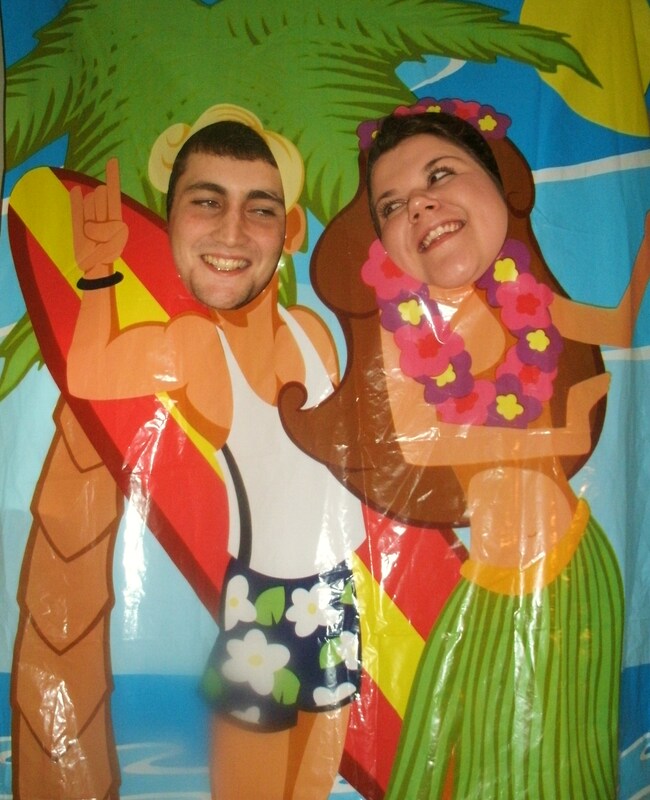 I cannot wait for all the wedding fun next week! Okay, okay, we have one more recipe post. 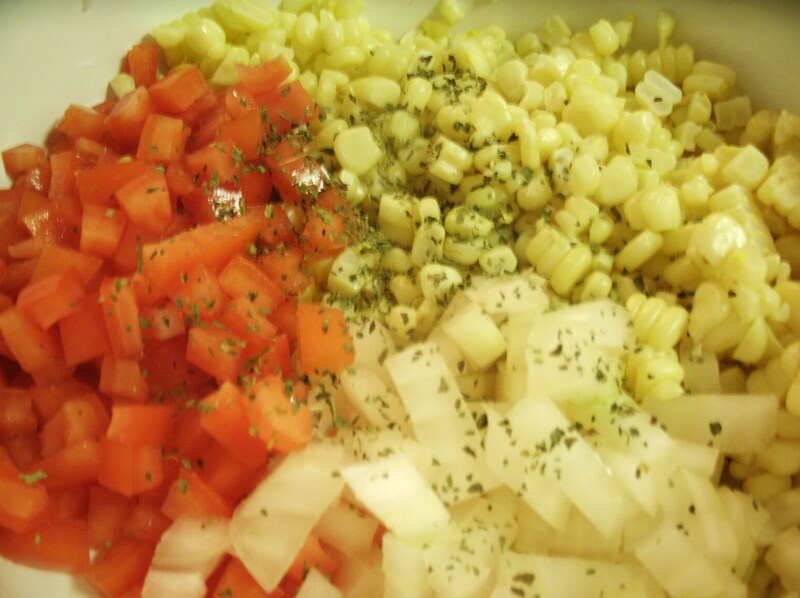 Do you remember that Corn Salad I made earlier this week after Mr. Jake brought home all that fresh white corn? Well, true to my word, I used the rest to make a Mango Salsa for the Bachelorette Party tonight! 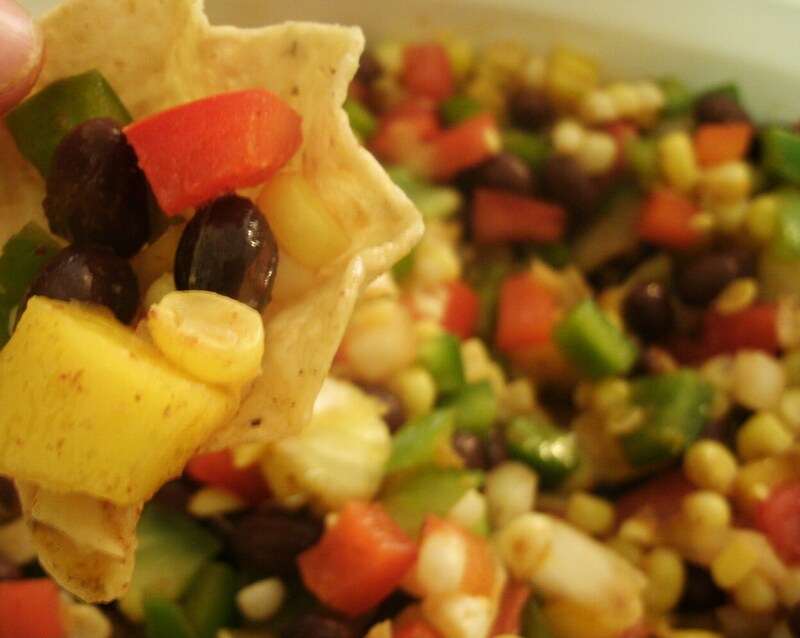 I guess it is only “kinda” Mango Salsa, since there is only a little bit of mango – but i’m gonna go with it. Since the theme for the party is fiesta, I thought this would be a perfect (and healthy) contribution. 2. 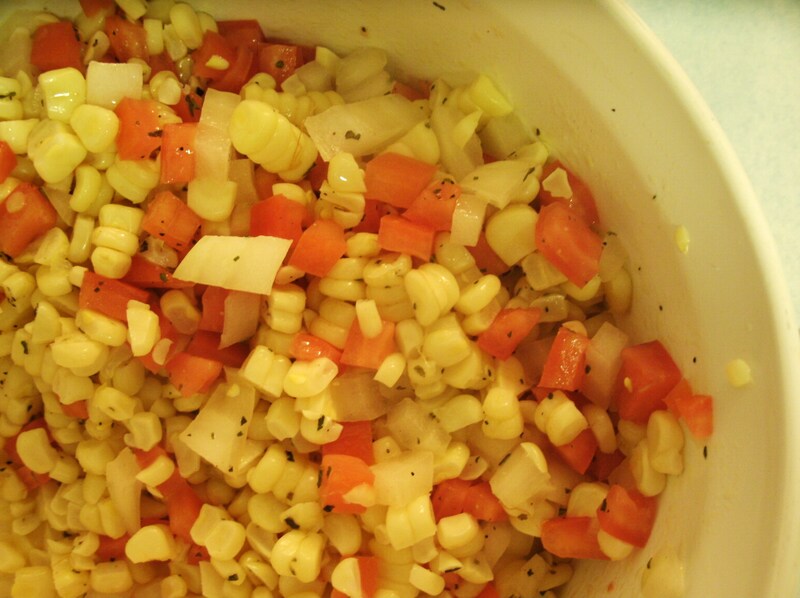 Chop onion, peppers, tomato and mango and add to bowl with corn. Drain and rinse the black beans before adding to the mix (I always pat down the beans before putting them in too, the salsa is not supposed to be soggy). 3. Add cumin, chili powder, salt, oil and vinegar. Mix everything and distribute evenly. 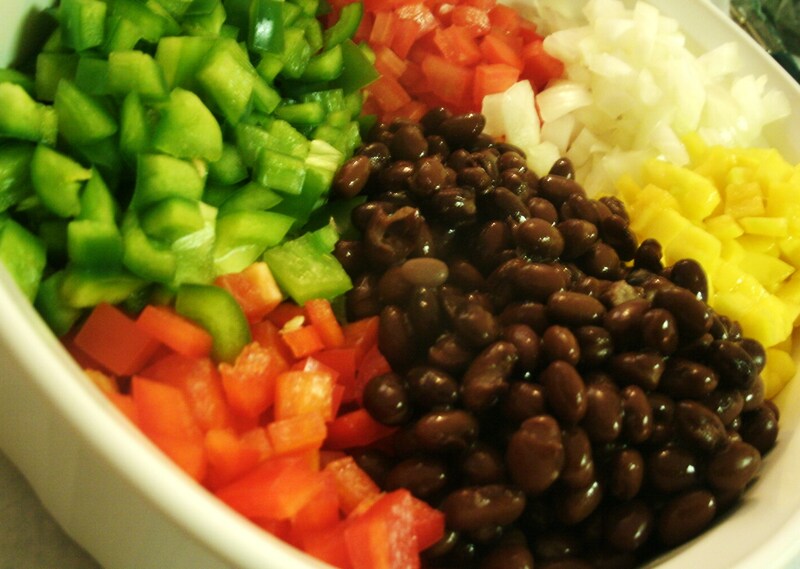 Add a few squirts of lime juice into the bowl before serving. I have been busy-busy all day today! As usual, I put off most of my errands until the last minute, so have been on the move until just now. Tonight is expected to be another fun and exciting night! 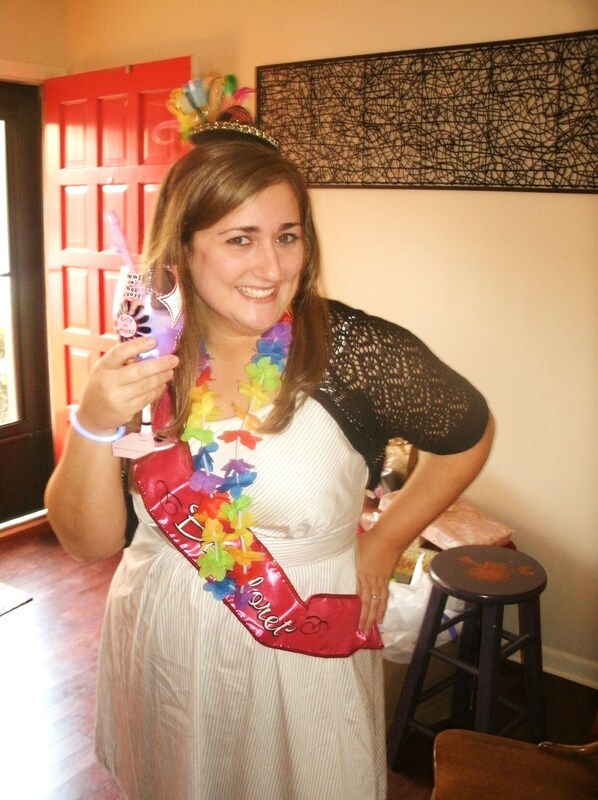 We will be celebrating Jake’s cousin, Sophie, at her Bachelorette party. 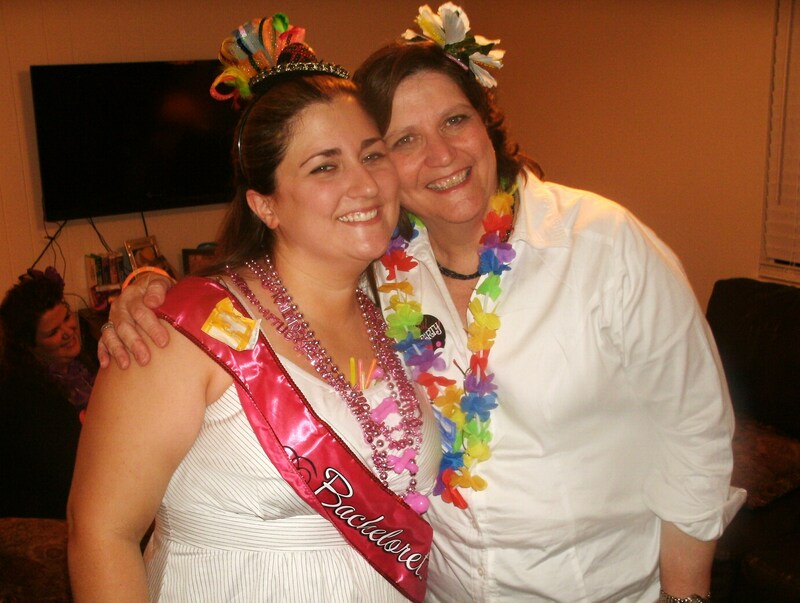 Jake’s two sister’s have planned a fun fiesta-style party to help Sophie begin to celebrate her upcoming wedding and the following honeymoon in Cancun. Arriba! This girl is ready to hit the town. For tonights event, I received a request from the bride-to-be for my sinfully delicious cake-bites. I made these little nuggets of heaven for one of Sophie’s bridal showers, and of course now she is addicted. 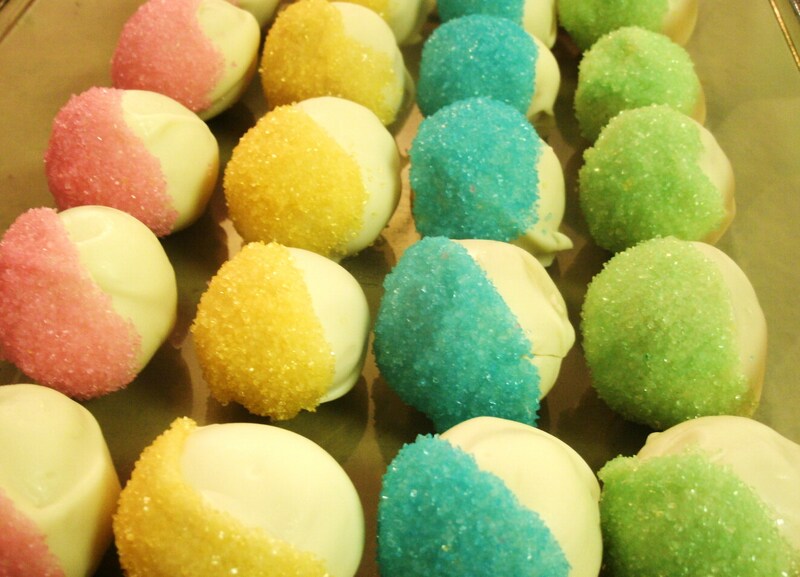 My cake bites are a revised version of other delicious treats like “cake-pops”, or “cake balls”. There are a lot of recipes for these out on the web, but I had to do a little tweaking to get them just right. This dessert is pretty time consuming, and since i’m short on time, I distributed the work over a few days. variety of colored sugar sprinkles. Two Nights Before: Bake your cake. Let cool and keep in pan (covered) overnight. It is really important that the cake is completely cool, or the consistency will feel more like play-dough than a treat. The Night Before: Smash up the baked cake and transfer into a giant bowl. Add the 1/2 can of cream cheese frosting to the bowl. 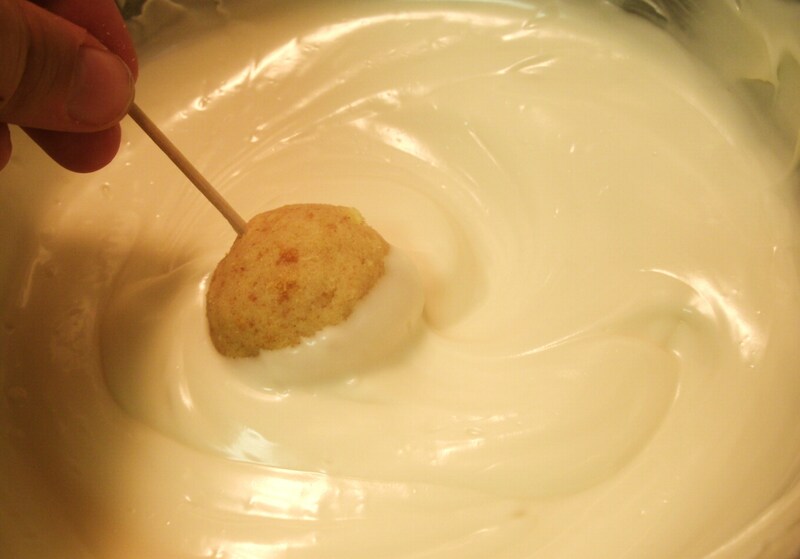 Using a mixer, blend the icing into the cake until the consistency is close to a dough. Wrap the cake-dough in plastic wrap and let cool overnight. 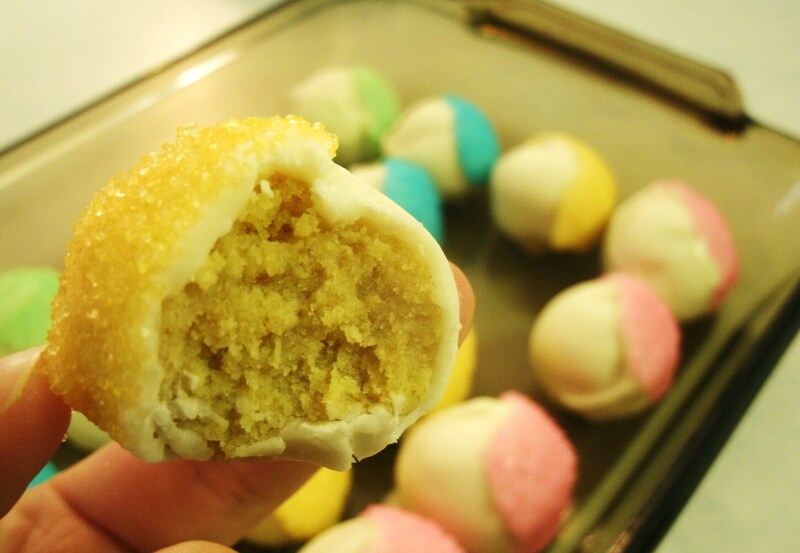 The Morning Of: Remove dough from the fridge and roll into one-inch balls. (sidenote: I would love to make these suckers bite-size, but I’m a lazy son of a gun at 8am on a Saturday, so I settled for big ones – teehee) The dough I made gave me about 40 bites total. Freeze for one hour. The Afternoon Of: Follow the directions on the package of the melting chips and make sure the result is a nice smooth mixture. I started with the White Chocolate and moved onto the Milk Chocolate later. Using a toothpick, drag the bites one at a time through the chocolate. Set (carefully – these things are slippery) each dipped bite on a tray and allow to dry. Once dried, dip one side of the bite into a little more chocolate, and then into a bowl of sprinkles and repeat. These not only look fun, but taste amazing. Beware: a sugar coma awaits you! I woke up this morning and already I was done-son. I sat down last night to figure out what will be going on in upcoming months and lets just say that it will be out of control! I cannot wait for November, because until then life will be non-stop. Which is exactly why I plan on devoting tonight to a little R&R. I know for a fact that my life is booked for the entire weekend, so I need to get a little ahead on some gym time and lazy time (how does that work?). I have a confession to make…I have been a bad, very bad, gym member this week. I made it to the gym only one day! Don’t judge me! I have been doing some Bob Harper workouts at home, but nothing is quite as satisfying as sweating it out with 100 other people. I made up for it today, believe me. I took a cue from Julie over at PB Fingers (a blog I have been obsessing over reading for the last few weeks), and did an interval workout I found on Shape.com. It was KIL-LER, but invigorating none the less. 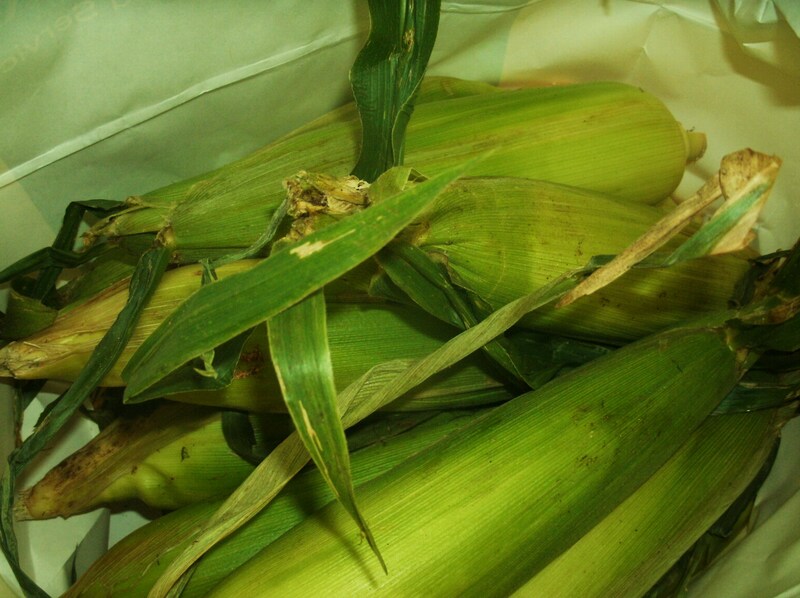 In other news, Mr. Jake brought home a huge bag full of fresh corn ears yesterday! Random? Not really. Some of you may already know, but Jake works for a John Deere Distributor and luckily has a great relationship with a lot of their clients. Last month, we got the most amazing peaches I have ever eaten. 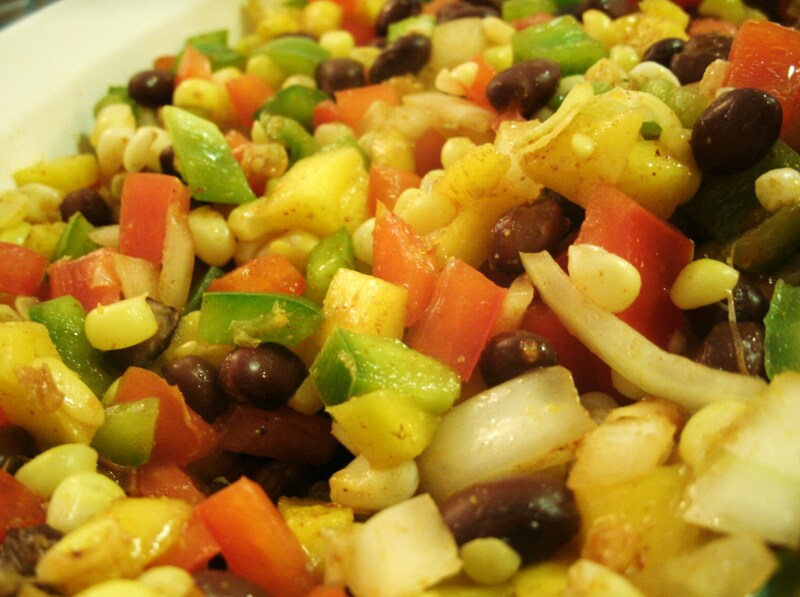 I really wanted to make good use of all of this corn, so what else would be more delish than a Fresh, Summery Corn Salad!? I found a recipe online but I had to adjust it to my liking (who really needs 6-ears worth of corn salad?). It turned out great, because of my little secret! Oh you want to know what it is? Alright – before I put everything together, I scooped out the insides of the tomatoes. Please don’t be mad at me! There is just something about ooey-gooey-tomato guts that turns me off. Plus, without the insides, the salad won’t get soggy and will probably last a few days longer than normal. 1. Boil ears of corn for 10 minutes (allows the corn to stay crunchy). 2. Saw corn off of the ear and mix all ingredients together. Easy as pie! Actually easier than pie. I usually eat this for a snack, but it would be equally as good on a burger, or some kind of fish, or even shrimp. I still have half of it left..maybe a corn salsa this weekend? Start Them Young. 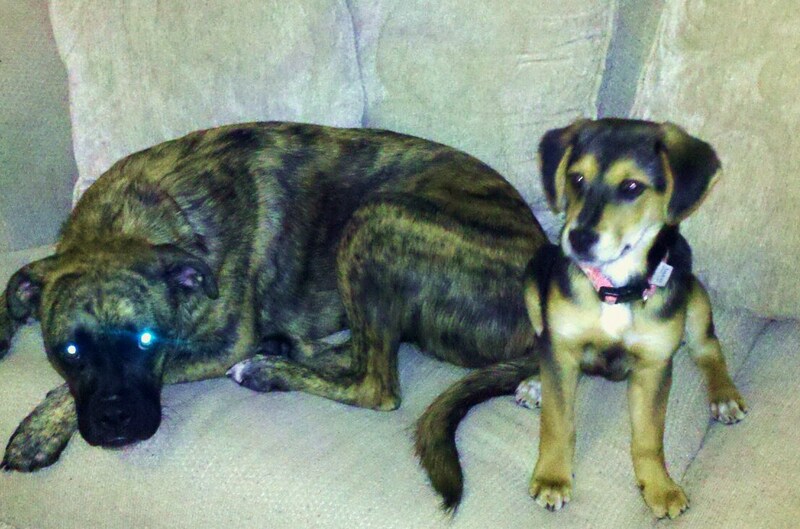 Both of our dogs were adopted as puppies so we had the advantage of training them the way that works best for us. The moment they scooted through the door, their training started. We both worked with our pups daily to instill good behavior (still working on that). Maintain a Routine. While researching the best method of dog-training, I started to see a lot of mention about “consistency”. From what I know, dogs are creatures of habit, and thrive on routine. This was perfect for me since I love having a routine too. Jake and I still work to maintain a routine for their meal time and play time, its really a work in progress. Work as a Team. Deciding to adopt a second dog was a big decision for Jake and I, and we both agreed that it was something we could handle since we live together. As with anything in life, we tackle our wild-ones as a team. There is no way I could have two dogs on my own – more power to ya if you can! I’m not going to lie – having two dogs is a lot harder than just one. Crate or not to crate? Let me make this clear, we do not crate both of our dogs. Sully is crated, Brock is not. Crating is not right for every dog. Sully l-o-v-e-s her crate; I was very lucky that it only took a few days for her to get used to it. This is crucial for my peace of mind. I love that I can leave Sully at home and all of my possessions will still be intact when I return! Know Your Limits. We have trained our dogs to know the basics. No bed, no couch, no kitchen. Brock and Sully wrestle. Yes, I said wrestle, in our backyard. By the end of the day they are filthy and there is NO way i’m sharing my furniture with them. It is really hard not snug on up with them on a rainy afternoon, but I don’t have enough patience to clean constantly. I should probably mention that I have a slight obsession with these two. I know it is so cliche to say they are like my kids – but they are. Sometimes Jake has to remind me that the are animals, not children. I even go as far as to make homemade dog treats (Hey, it’s cheaper and healthier that way!). That recipe may be coming up in the near future! They say your glory days end when you graduate from college, but who is “they” and what in the H were they thinking?! If “they” are so right, then the next thing I have to look forward to is middle age – bleh. Fortunately, I disagree whole-heartedly. I officially been a college graduate for a little over a year now and I have to say that while my carefree days are over – the fun has just started! Actually, my life has been a crazy rollercoaster; but I have to admit that it has been a lot of fun. Mostly fun, just a little crazy. Between my two crazy dogs, a busy boyfriend, and a few wild friends (and family), my life is a go-go-go. For some reason, in all the stress of graduation and job hunting, I thought that entering the “real world” would give me some time to relax..boy was I wrong. I’m not sure why I think people would be interested in the on-goings of my life, but somehow I end up in the wierdest situations. Either that or I have some kind of crazy story for almost every day that I leave my house. I am forever in the kitchen, making something, fixing something, shopping for something, or plain old doing something! I have been considering starting a blog for awhile, I think this might give me the chance to slow down. Then again…maybe not. Let the fun begin! Hey Everyone! I'm Sarah, and I'm on the wildest ride - life! Join me as a venture through my post-college life with those I love most. Enter your email address to subscribe to all the Fun! 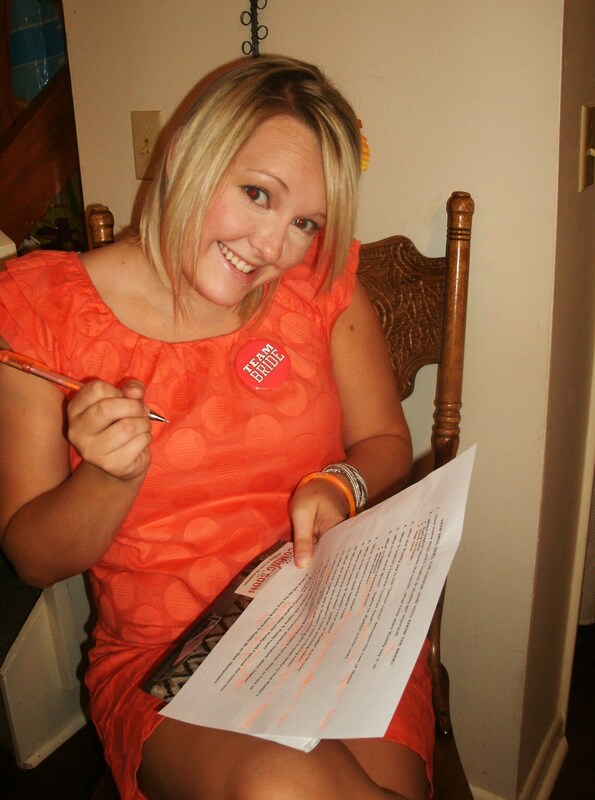 You can reach me anytime at funstartshereblog@gmail.com. I would love to hear about any comments, questions, or advice you may have for me.